I’m happy to see that Ava approves! More importantly Mommy and Daddy approves! Let’s revisit some of my points that I was looking for in the beginning. Do you know that this car seat can be used from birth up until your child is approximately 12 years old! This is extremely generous because most of the car seats that my husband and I were looking into only went up to 50 pounds! 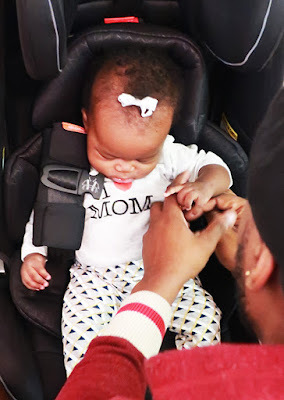 And then when you’re ready to turn the car seat around (please look at the car seat requirements in your province/state before you make this decision to turn your seat) up to 120 pounds. Ava is definitely going to get her full worth out of this seat because we started using it when she was three months. Although we wanted something black and sleek. Which Diono offers us! If you were more adventurous- there are 7 awesome colours to choose from. One of the most unique colour combos I saw was grey and yellow. 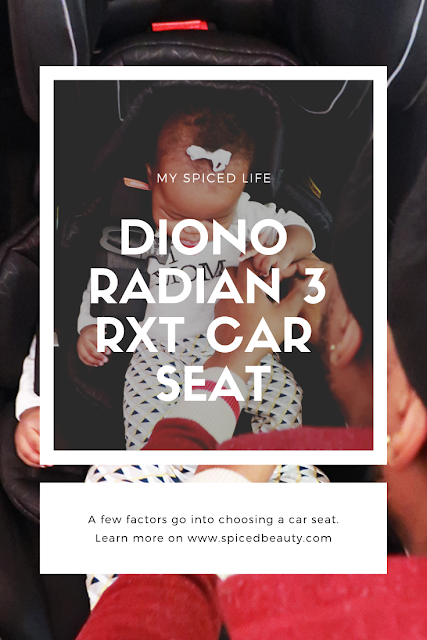 Let me start off by saying that this Diono car seat is pretty heavy! Which is good for a few reasons. Reinforced in the chair is automotive steel, aluminum and a memory foam seat base. I can’t lie... I might need some assistance when transporting it from car to car. 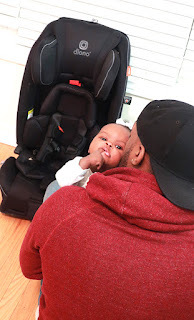 BUT overall I know that my baby girl be safe due to it's great construction. I can't take any credit. It's all my husband. I asked him how did he find installation and his response was "It was REALLY easy". He used the manual and youtube videos from the Diono channel to do our first install. I should also add if you misplace the manual - you can go online and download it! If I ever have another baby- Diono is definitely going to be my first choice.